So as you may have noticed in a previous post, I have been working on how to automate blogging among some of the top social media platforms. I have been starting at the top with WordPress.com, through the sharing feature with WordPress branching off to Twitter, Facebook, Tumblr, Linkedin, and Google plus. Then from there I found you can automate Tumblr to post to Friend Feed. This is all that I have found so far. 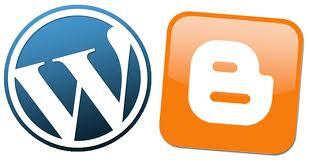 If any one knows any other blogging platforms that can be easily tied in let me know. I have been interested in Blogger, but I could only figure out how to make post go from Blogger to Google plus not the other way around like I was hoping. I was also wondering what you guys thought of Path. I have it setup, but to me doesn’t seem like a very good platform. A social blog on a phone? So since I am fairly new to blogging if anyone know of more blogs that be easily tied in. Or passably know of different way please let me know. I find blogging automation very interesting, that you can make just one post and have it get set to all these blogs at once. Thanks for your help! Blogging automation is key if your building a blogging network. You want to be able to have one post go to multiple blogs. This way you get the most out of your article your posting, and you generate extra back-links if you them in your post. The reason for this post to test if this will get posted on blogger.com. I have hopefully set it up so that when I post this article it will get posted to Google plus then it will post to blogger.com. Also on a side note its good to have authoritative links or links that are not going to your target site. So hopefully this works or you will see another post similar to this one. It appears this works different than I first thought. Blogger posts to Google Plus not vise versa. 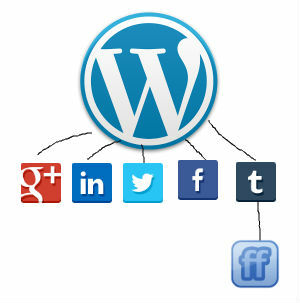 WordPress.com does a good jog of syndicating to Facebook, Twitter, Google+, LinkedIn, and Path. I was hoping to post to Blogger as well, since it is Google owned I am sure they would rank the content well.